Day three, and today's free hand nail art was a real struggle. I must have spent about 30 minutes on just that one finger. That's ridiculous, especially as it doesn't look that good in the end! For my base I used Cirque Hatch. 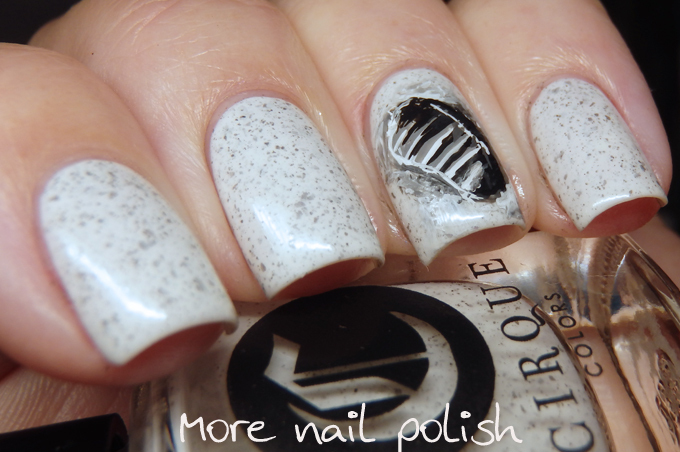 It's such a unique polish and I notice it has made lots of bloggers top polishes for 2016 list. I thought it looked just right for the surface of the moon, being a whitish grey sort of colour with all the grey flecks through out. 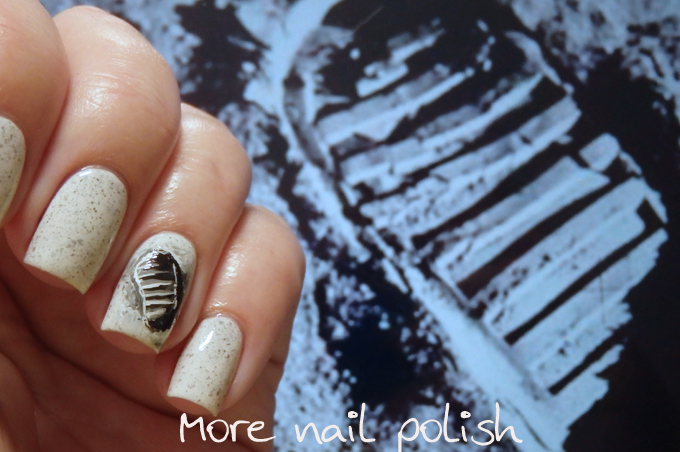 The moon boot foot print was painted with acrylic paints, I don't used them very often, but it was easier for this design as I was able to scratch bits I didn't like away, unlike with nail polish, once that is down you have to remove the whole nail to fix it up. I just got a Messy Mansion plate with that footprint image on it. Hatch is perfect for a lunar surface! Such a cool idea! They look neat! Ohh, this was a great idea!! 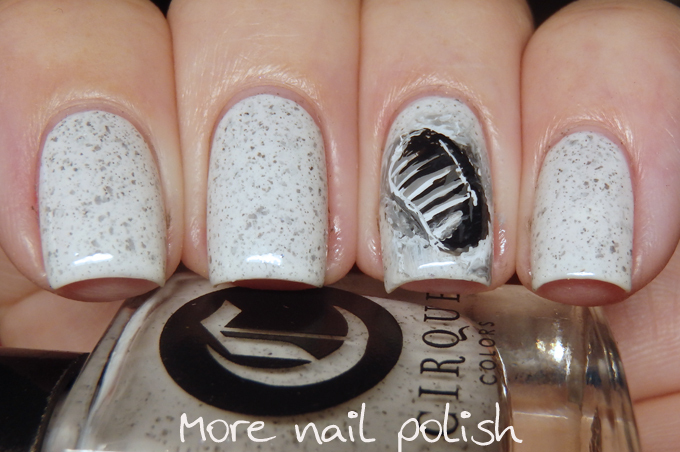 Hatch is a really cool polish! 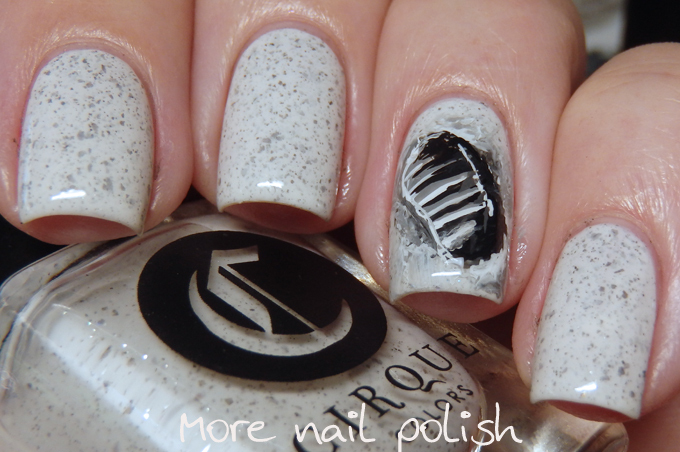 What a fabulous mani/design! I love it! Great idea...your persistence paid off!